These are just two examples of large diamond engagement rings. Although large diamonds are beautiful to look at, the most popular size diamond is usually 1 carat. 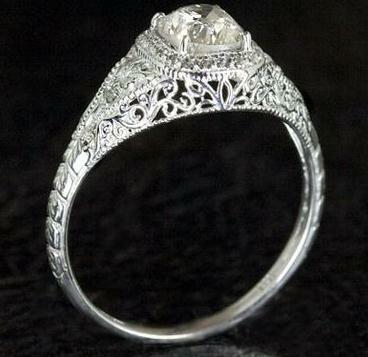 When diamonds get too large, they can look overwhelming on a slender finger and may not be practical to wear every day. Another thing to consider when opting for a larger diamond, you would need to go higher in clarity compared to smaller diamonds as the inclusions will be more visible. Traditionionaly, your fiancé should not see the ring before the proposal! Keep in mind that if you are going to make such a significant purchase, it is important for you to do some homework before the design stage. If you absolutely want her to be surprised, get help from her best friend, mother or sister. They should have a good idea of your future wife’s taste and will probably be very honest with you. Checking in with the best friend has its advantages! 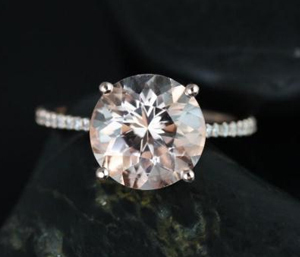 Another interesting trend that brides have embraced is the use of Morganite instead of diamonds as a center stone. Morganite is more reasonably priced and is a beautiful semi precious stone from the beryl family of gems. 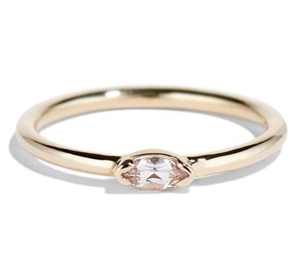 One of the most important things to consider when choosing an engagement ring is the style. You will have to decide on the metal, the stone and ring size and setting. Your metal choice will be the easiest as most brides have a personal preference whether they like the white gold or yellow gold look. The exciting part of the design is choosing the stones. The traditional solitaire diamond as a feature will give a wonderful sparkle and can be set in various styles. 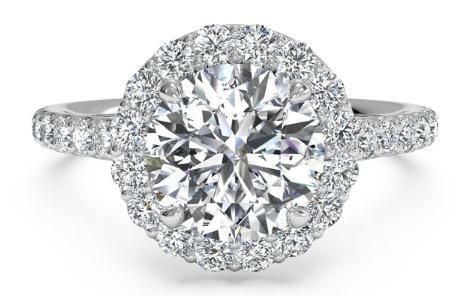 Surrounding the center diamond with a halo of smaller diamonds will add to the overall impact of your engagement ring. Another stunning choice of engagement rings to consider is the more romantic, elaborate design featuring milgrain details with filigree or scrollwork patterns. This metal work will be more dainty and intricate and will appeal to the bride who loves vintage designs. 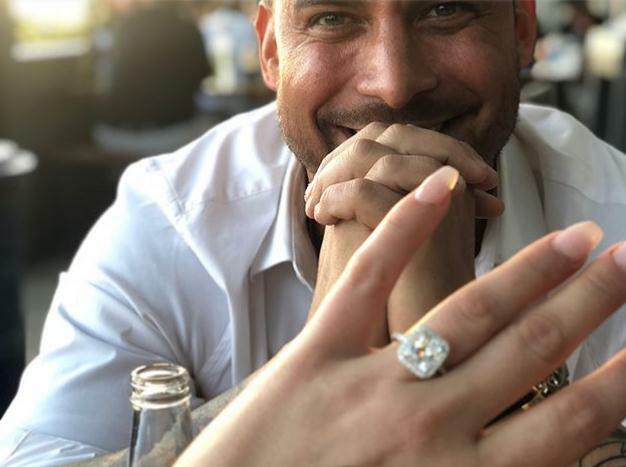 No matter which design you favor, we at Andrews Jewelry Store in Littleton, will be more than happy to spend time designing the perfect, individual engagement ring for you.